Union minister Arun Jaitley today said that the government's view on the constitutional validity of 'Triple Talaq' is distinct from the Uniform Civil Code, adding that the personal laws have to be constitutionally compliant and must be judged on the yardstick of equality and the Right to Live with Dignity. Jaitley's comments came against the backdrop of All India Muslim Personal Law Board boycotting the Law Commission's consultation on Triple Talaq and the Uniform Civil Code (UCC). 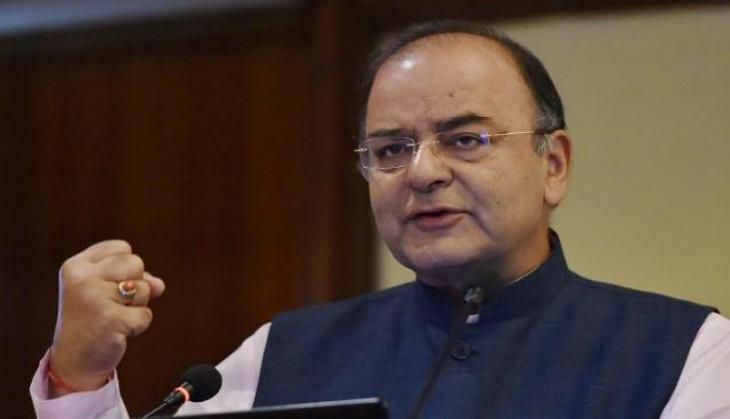 In his Facebook post titled "Triple Talaq and the Government's Affidavit," Jaitley said, "On more than one occasion, the Supreme Court has enquired from the government's stand on the issue. Governments have repeatedly told both the Court and the Parliament that personal laws are ordinarily amended after detailed consultations with affected stakeholders." "On the issue of the Uniform Civil Code, the Law Commission has initiated an academic exercise once again. This academic exercise by the Law Commission is only a continuation of the debate in this country ever since Constituent Assembly had expressed the hope that the State would endeavour to have a Uniform Civil Code," he added. Jaitley said that the governments in the past have shied from taking a categorical stand that personal laws must comply with fundamental rights. "The present government has taken a clear position. The academic debate with regard to the Uniform Civil Code can go on before the Law Commission," he said. He noted that with the passage of time, several provisions become obsolete, archaic and even gets rusted. "Governments, legislatures and communities have to respond to the need for a change. A conservative view found judicial support over six decades ago that personal laws could be inconsistent with personal guarantees. Today it may be difficult to sustain that proposition. The Government's affidavit in the triple talaq case recognises this evolution," Jaitley said. "The question to be answered is that assuming that each community has its separate personal law, should not those personal laws be constitutionally compliant? he asked.